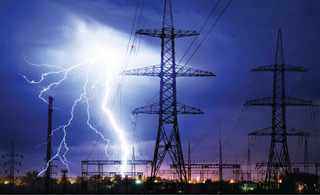 Direct Strike has built up a wealth of experience designing, supplying, installing and commissioning Earthing Systems, whether part of the lightning protection system or Generator, LV, HV or Substation earthing. Earthing systems play a vital role in a coordinated lightning and surge protection and is responsible for safely dissipating the lightning currents to ground. We use a wide range of materials in numerous configurations to achieve the required resistance level as set out in BSEN 62305: 2011 and BS7430. • Install Low & High voltage earth farms. • Provide advice on the best materials to use in existing ground conditions.